The Phoenix Rush photos just keep coming! 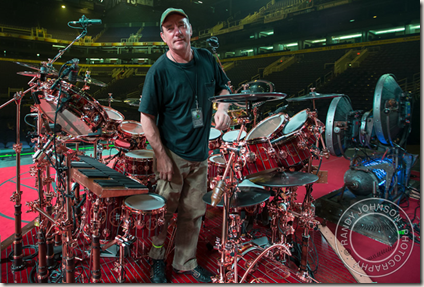 Randy Johnson, baseball pitching legend and photographer, took this great photo of Neil Peart during soundcheck -- and many others of the band. Follow Randy on Twitter and go to his site to see Rush and other cool photos (motorsports, Africa, concerts, KISS, U2, USO, and more). Click to see the entire gallery (including photos from past tours). Thanks, Randy, for sharing these photos!